Cortez Post Office, 0.2 mi N. of, along hwy. to T-rd., thence 2.1 mi left to field rd. N., thence 1.2 mi N. along field rd. to T-rd. left and station on left; 56 ft from center of T-rd. 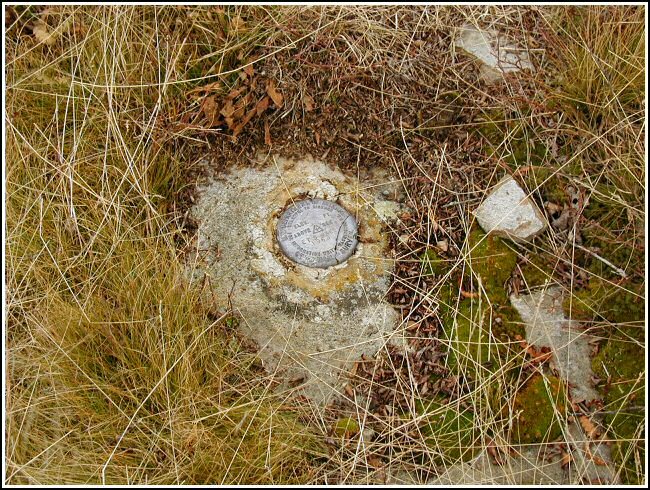 intersection; in stone flush with ground; standard tablet stamped "ET 6 WAC 1963"
On a cold, windy day in Northeastern Pennsylvania, Rich and I set out to hunt down ET 6, a USGS electronic traverse station we'd spotted on some of our maps. 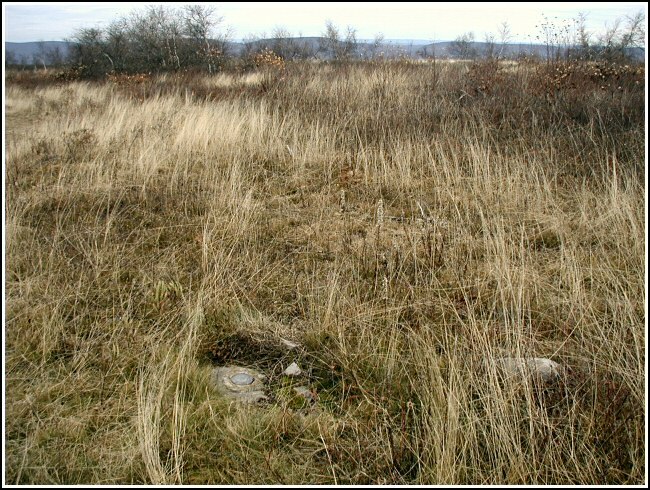 It's located on State Game Lands near Archbald, PA. We had a pretty good idea where to find it after working back and forth between an NGS Geodetic Control Diagram and a topo map to determine the probable location of the mark. 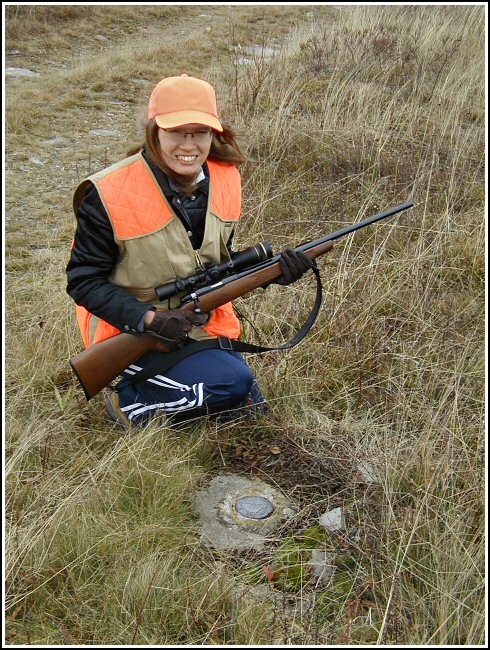 We figured we'd combine the benchmark hunt with a little squirrel hunting as well. Well, the squirrels were nowhere to be found (I suppose they were smart and stayed huddled in their nests, out of the cold) but we did track down the benchmark. Though we were frozen solid by the time we reached the mark, we managed to take a few photos and measurements, and we made an interesting observation: on our control diagram, this mark is labeled ET 6. The disk itself is stamped ET 5. This was quite an unusual "hunt!" Furthermore, there is a mark not too far from us that's labeled ET 5 on the diagram. I can't wait to get there and see if that mark is, in fact, stamped ET 6! 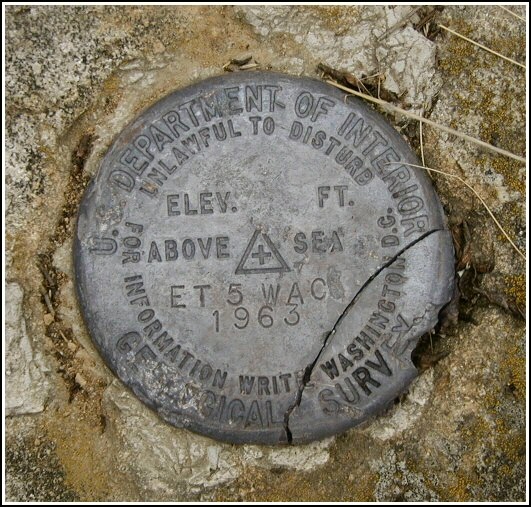 Eyelevel view of the mark set in outcropping bedrock. Looking west-northwest across the valley. 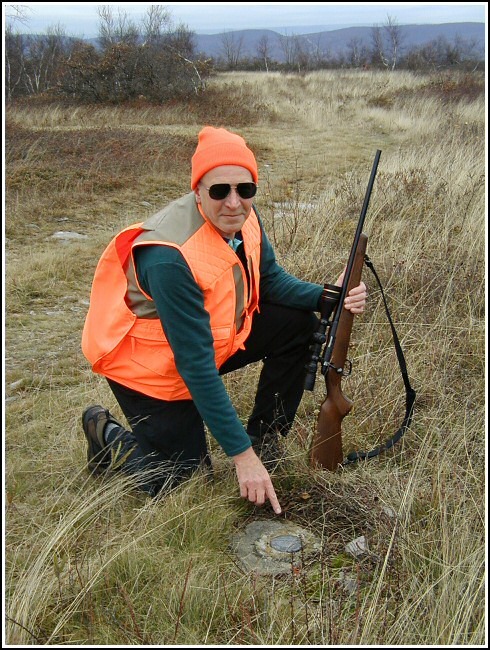 "Hunting" an elusive USGS benchmark, ET 6 (or ET 5) WAC. This one tried to run, but it couldn’t hide from us.